After nearly four years and numerous customer requests we are pleased to bring you a new edition of Night Environment for Microsoft Flight Simulator 2004. 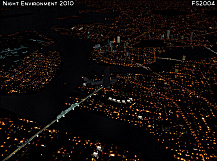 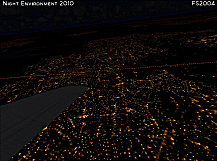 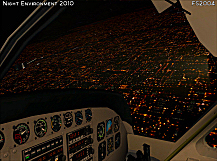 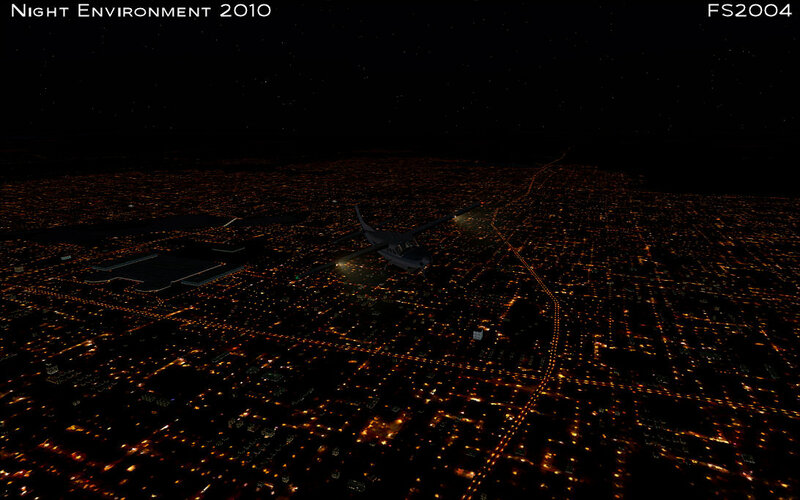 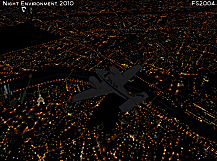 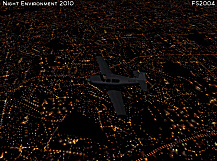 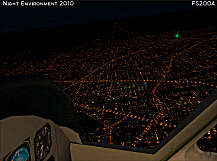 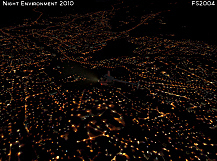 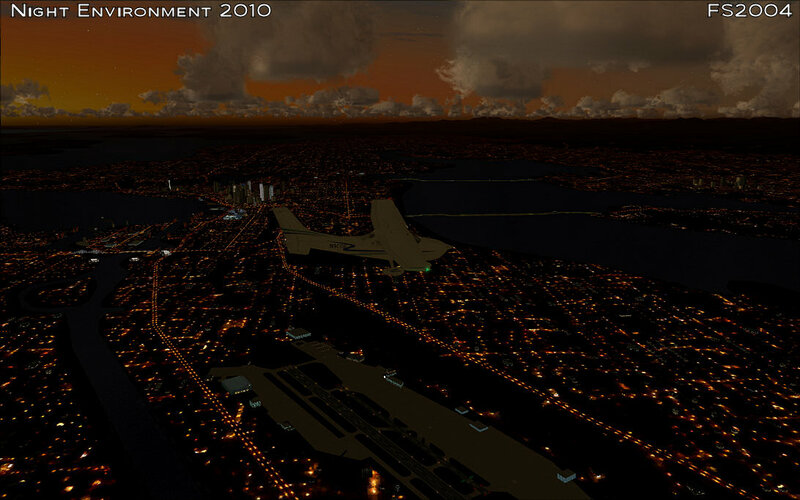 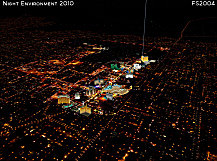 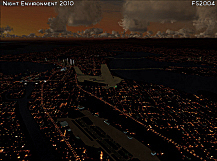 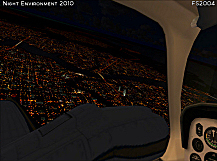 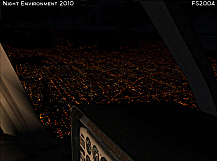 Night Environment 2010 is a comprehensive texture package that features over 300 new ground night textures that greatly enhance your entire Microsoft Flight 2004 cities throughout the world. 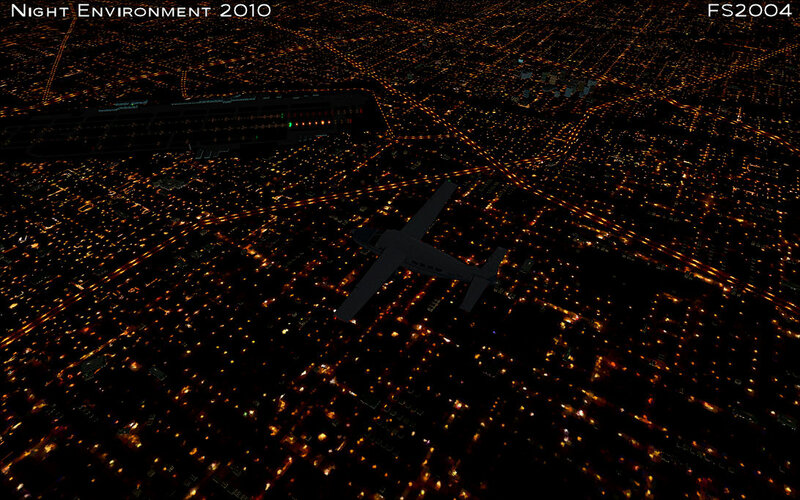 It will be a breathtaking experience to fly around cities and airports at night. 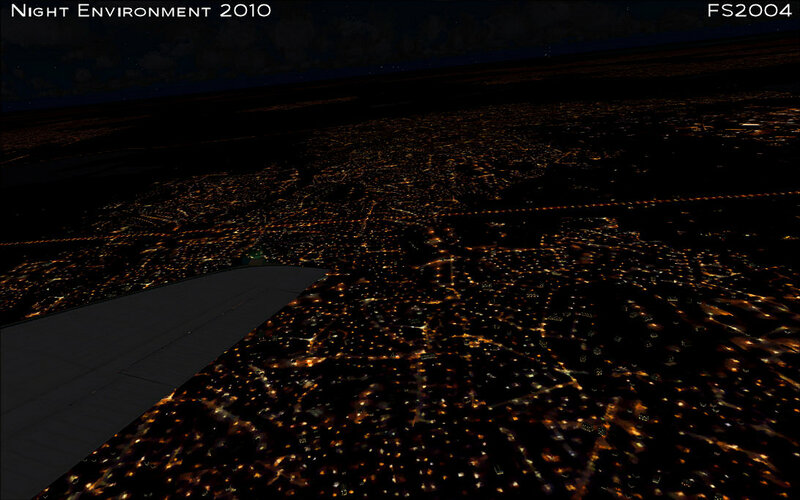 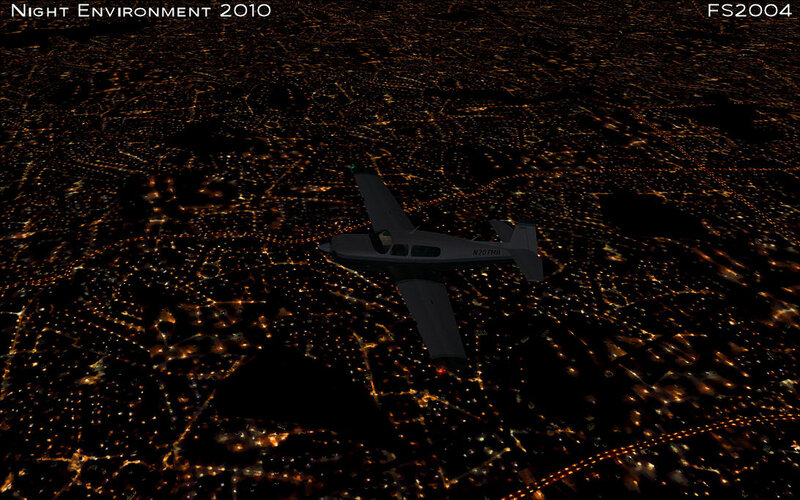 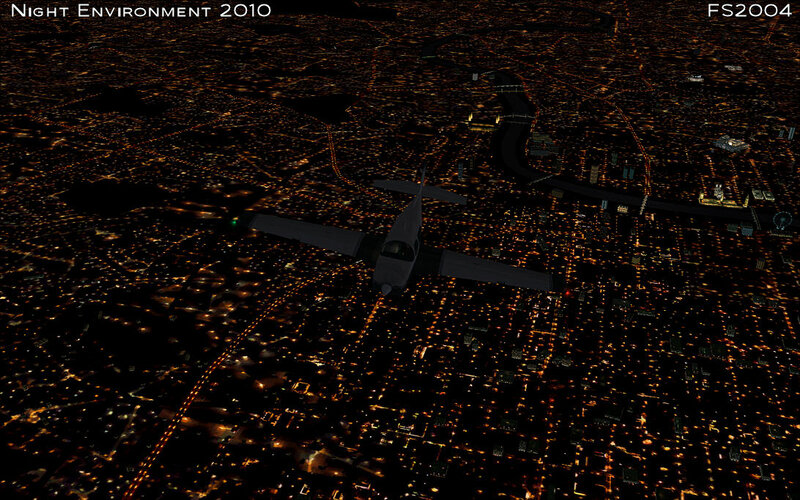 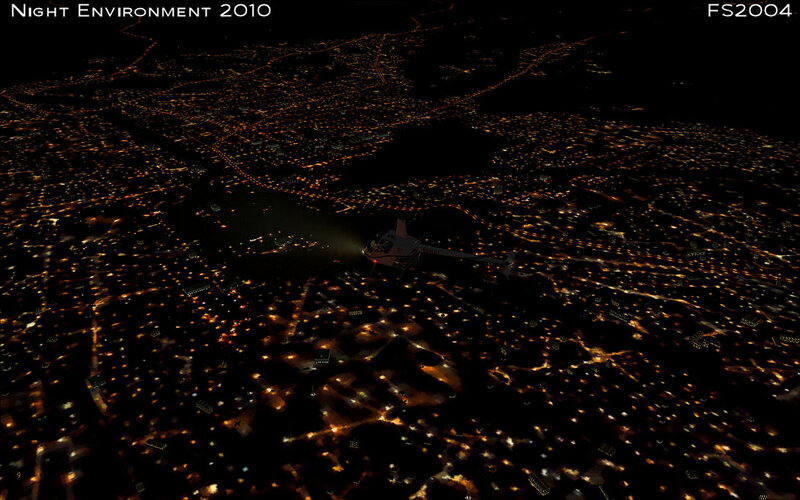 Cities, towns, and airports throughout the world come alive at night with enhanced and detailed night textures. 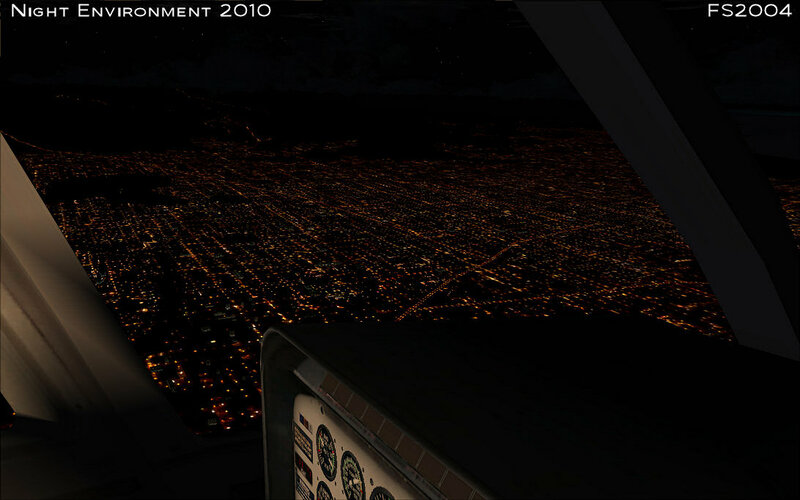 Best of all, frame rate friendly! 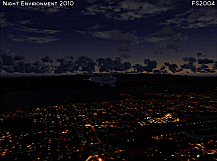 So you can rest assured that it will not affect performance in any way. 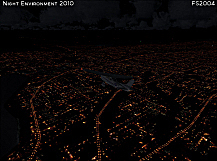 Over 2500+ new night textures altogether including 300 new night ground textures. 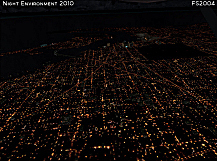 New night textures done in painstaking detail bring cities and towns throughout North America, Europe and the rest of the world to life. 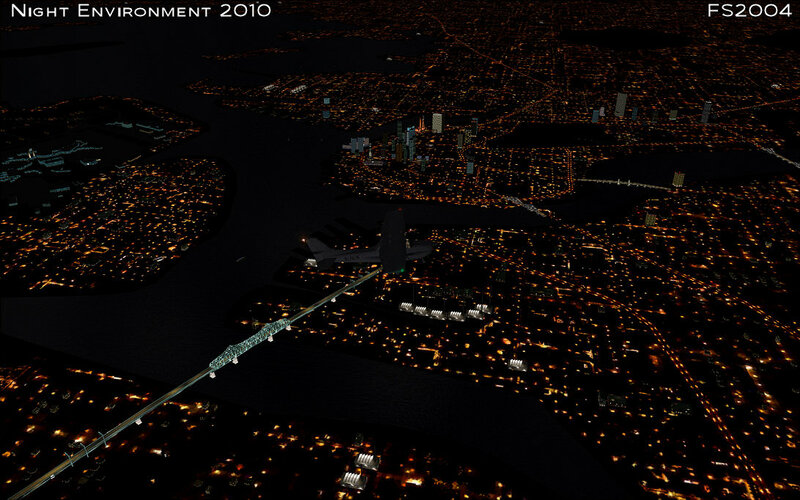 Enhanced night lighting for bridges. 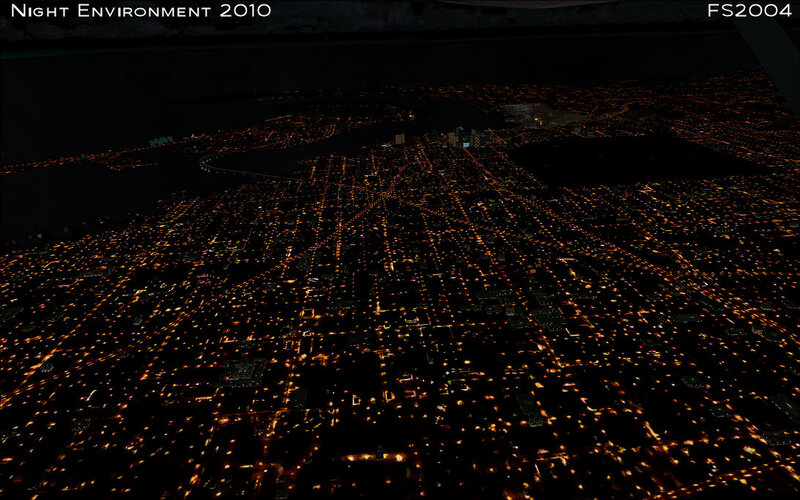 Enhanced night lighting for landmarks. 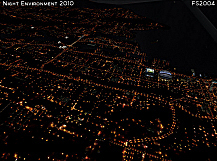 Realistic night lighting for roads and highways. 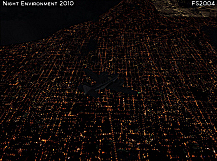 Compatible with Ultimate Terrain's 3D lights. 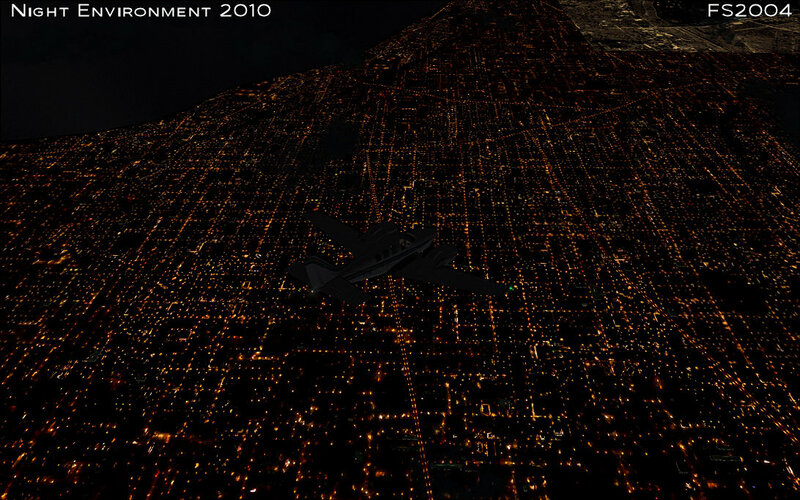 Frame rate friendly. 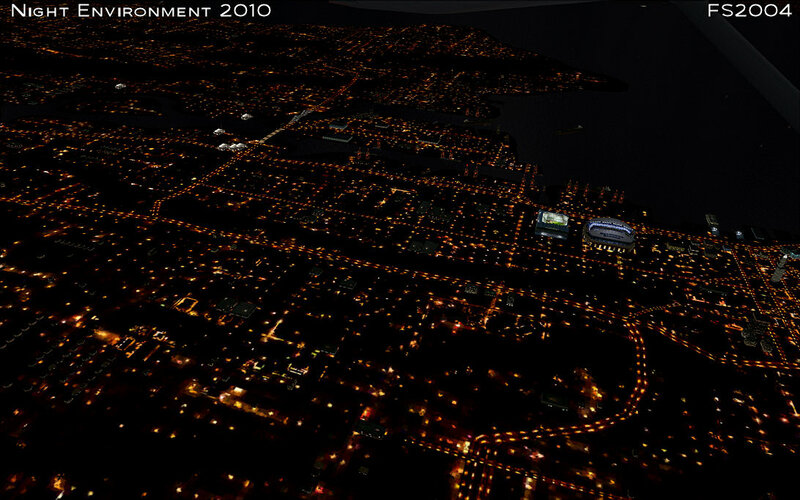 No impact on framerates whatsoever.